Bedding Prince Point: Considerations Before You Buy! Bedding Price Point: Considerations Before You Buy! What’s your favorite part of the day? If you’re like us, especially after a brutal day at work, it’s climbing into that clean bed and snuggling up for a restful night’s sleep. That heavy comforter…your head sinking resoundingly into the pillow…it’s hard to beat! In order to sleep your best, you have to build your ideal bed from the ground up. The mattress is an integral part of sleep comfort, but one GIANT factor frequently gets overlooked—your bedding. Think about those frigid nights when you have to PILE on the comforters—or worse, hot and humid North Texas nights that leave you sealed in a sticky, sweaty mess. The art of creating comfortable and long-lasting bedding has DOZENS of elements. Would you have ever guessed? Can you honestly say you’ve taken bedding that seriously ever before? Luckily, we have experts like Leo Wang to help guide us through the purchasing process. With his family-business and long-learned expertise (20 years in the making), we discover how to feel and experience the delicious quality of luxury bedding. You’ve got this…the higher the thread count, the higher the quality…right? Thread count refers to the number of threads of yarn per square inch of fabric. A higher thread count means more threads per square inch, which in turn means fewer gaps, a more unified fabric, and a longer life on your mattress. 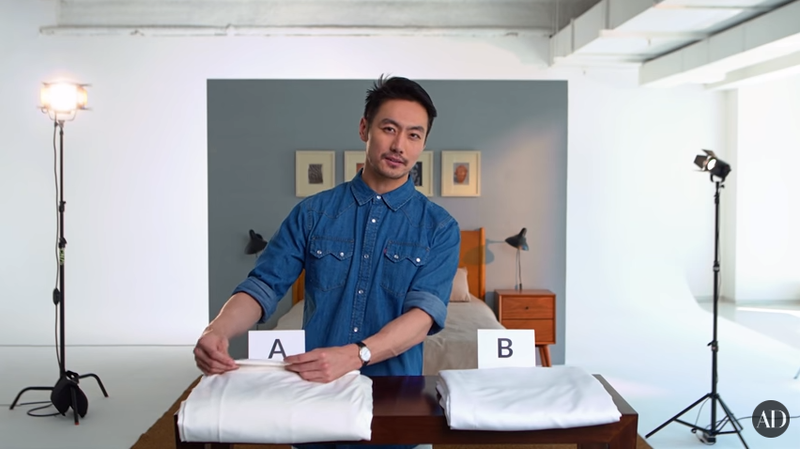 An easy tip we can take from Leo’s first price point guess is that bedding with large gaps most likely mean a lower thread count and, therefore, lower quality. BUT don’t be fooled! As Leo pointed out, marketing has taken the thread count fad and RUN with it, so there is a point when higher count doesn’t really mean anything by the time it’s on your bed. Stay within the 300-600 count depending on your budget, and this will ensure soft and breathable sheets. Anything over and you’re paying for the packaging! There are two main categories of materials used in bedding: synthetic and natural. Cotton falls into the natural category and leaves you with a feeling of clean, breathable and bright bedding. There are different types of cotton as well, such as Egyptian, pima and supima. Although Egyptian cotton gets a lot of the limelight, supima cotton is the material really going for the gold! It’s a cotton grown only in America and verified by its very own collective association. Of course, not all cottons are made the same, and as Leo is quick to mention, fiber length really matters. Say it with us people: fiber length matters! 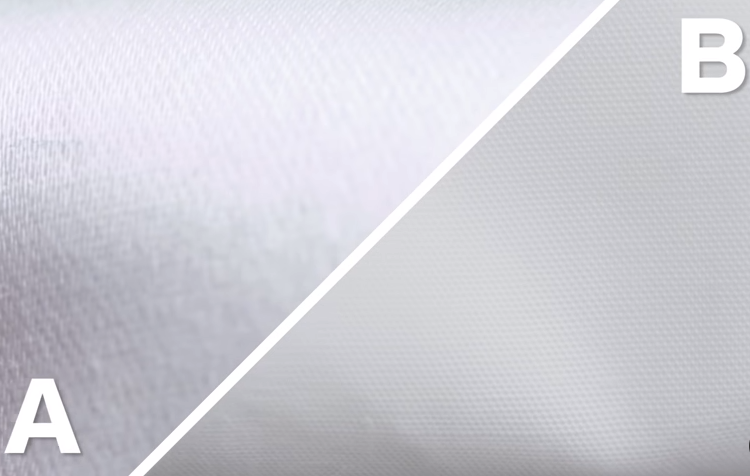 It’s a huge factor in Leo’s second comparison, where he differentiates a more wrinkle-free material and starchy, crisp cotton material. It all depends on your taste! 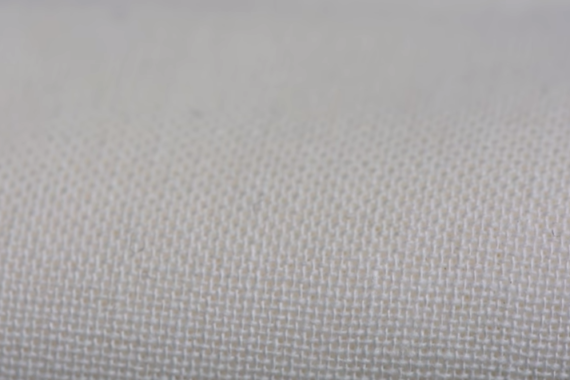 A weave refers to how the thread in a sheet is combined together to create a sturdy fabric. 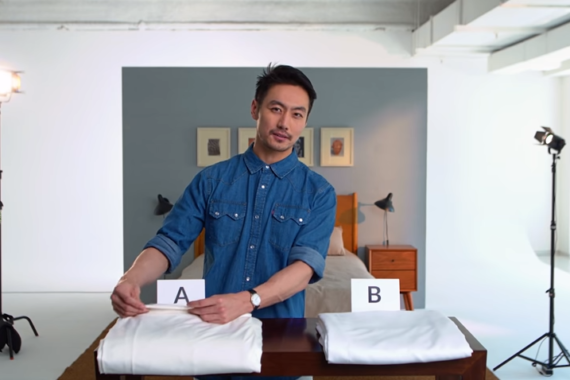 There’s more than one way to construct a sheet-set, and they fall into two categories: plain and special. Special weaves take longer to create and use more material. 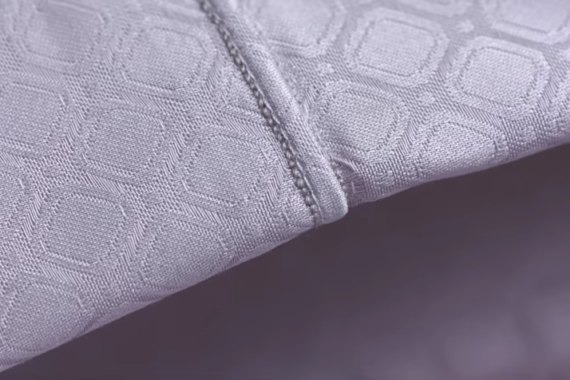 Fun fact—bedding thread is ESPECIALLY thin, so intricate designs lead to more of them breaking. The most common, thus, is the plain weave, which is a simple criss-cross pattern. Although the pricing on weaves can vary DRASTICALLY, weave doesn’t generally affect the longevity of the product. Ultimately, as an incredible display of craftsmanship, special weaves are a luxury priced for show! What we really LOVE about this Architectural Design Price Point test is the comparison of higher quality materials. 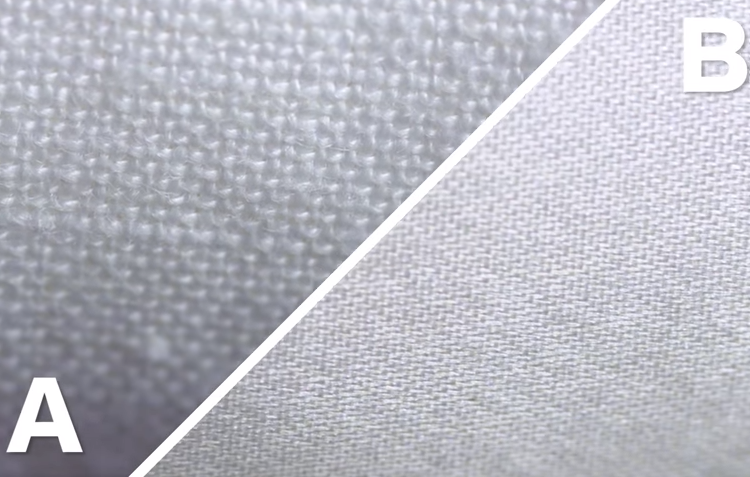 During the A/B materials comparison, Leo points out the subtle differences between linen and silk. Did you know technology has found its way between the sheets? Bedding companies are jumping on the tech fad by incorporating science into their products…or at least claiming to. 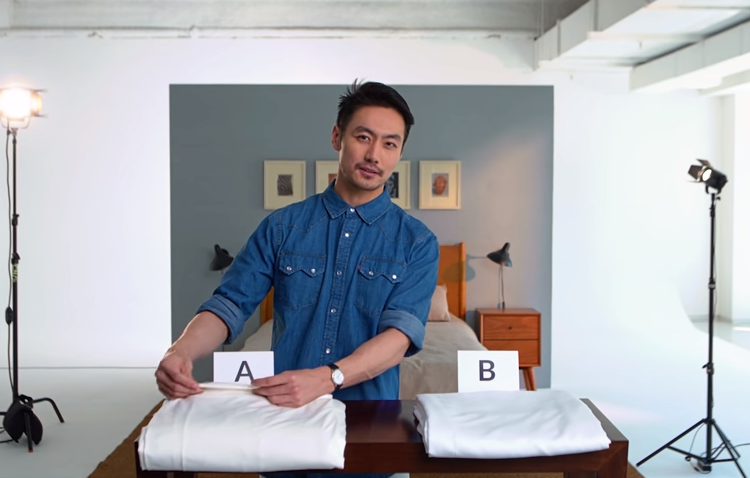 At this final A/B test, we’re presented with two sets of sheets composed of materials created to keep temperatures in check and make the overall product much more functional. Option A is a breathable and comfortable polyester and spandex blend. Stretchy, but not exactly science based! As Leo points out, although comfortable, this product is more of a “sham” in their promise of tech in the sheets. Option B, by comparison, uses technology developed by NASA! This is DEFINITELY researched and approved by someone who knows something! Right? Watch the video to see. Just know that this comparison should remind us to be wary of “tech” promises and make sure we’re not buying FAKE promises. Although both of these tech-sheet products are considered luxury, if you’re looking for some SERIOUS relaxation, make sure to read the fine print! We LOVE comparison videos like Leo’s because they’re meant to INFORM the public about the many intricacies of specialty luxury products. Just like Leo’s family, our Signature Home Services team prides ourselves on knowing the most precise details about our business. Want to test out our skills, or have a question about bedding? Give us a call or send us a message on our Facebook page!